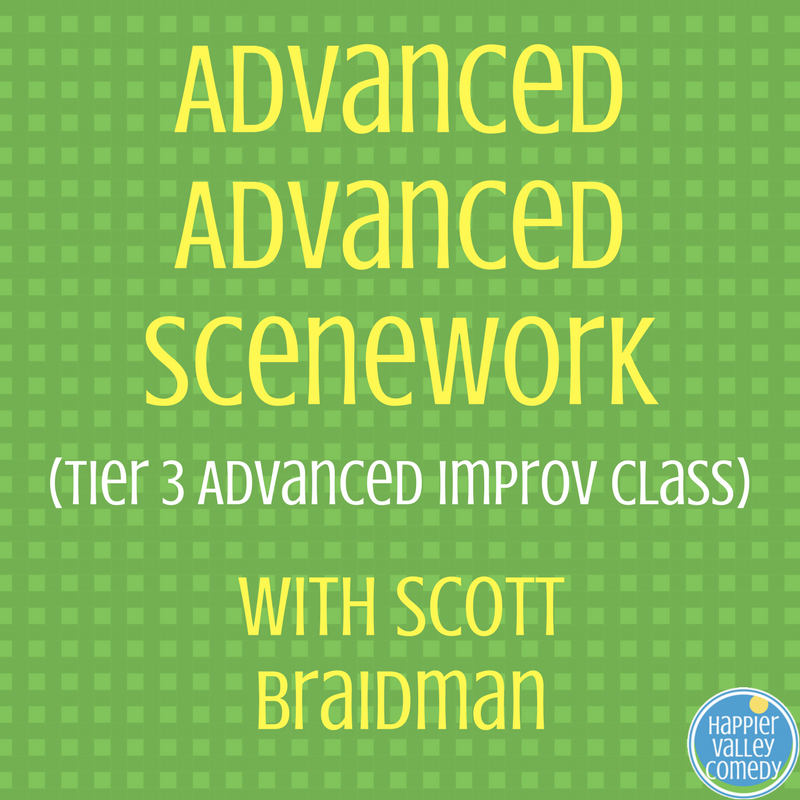 Advanced Advanced Scenework offers a hands-on dissection of scenework with a major focus on personal improvement. Providing you a different approach to scenework from the Zen 1-4 series, this class gives you a chance to expand your toolbox and play in new styles. We will also work on individual evaluation, giving you confidence to improve your weaknesses and strut your strengths. We'll learn to thrive on direct, critical feedback from our peers - leave your ego at the door for this class!